Although the winemakers call Barbár the flagship of their winemaking I must say this one is a bit behind Birtokbar. It isn’t easy to describe the impression of this wine but you could call say: this is a top Hungarian wine production which tries do to deny that is Hungarian although all sort of this cuvee are typical for Hungarian wines: Cabernet Franc (dominating), Merlot, Tannat and Kékfronkos. It is a very strong and really dry wine. 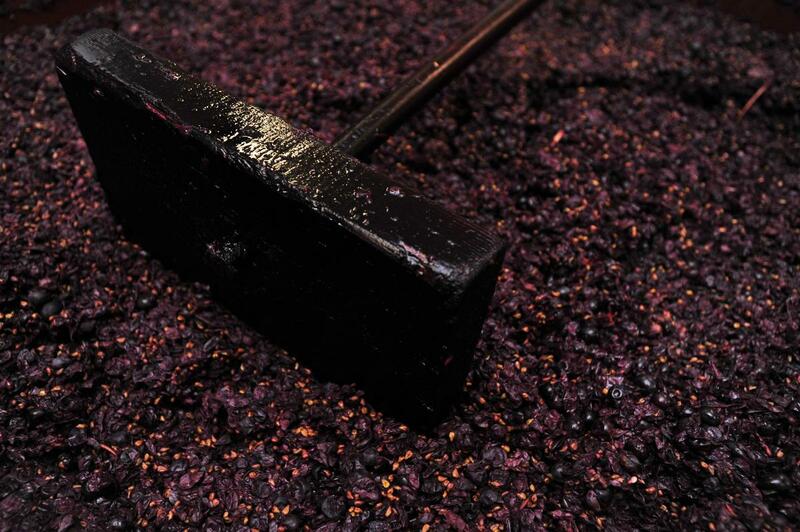 The smell and taste is dominated by dark berries, perhaps some vanilla, certainly pepper and tannin. I believe that Zoltan Heimann, his family and crew spend a lot of time in the cellar as I would say that this wine has been rather made in the cellar and not too much in the field. The smoky element of Barbár certainly comes from barrels. The wine has a pretty full and rich body but I hoped while drinking that I would experience an explosion of aromas – but unfortunately nothing like this happened. And I missed this very much. Maybe the wine will become better and a bit more enjoyable in some years as I guess this wine can easily mature many years. This said, I writing about a high quality of wine and therefore my review is rather a matter of taste.